I had a call this week from someone that informed me that Tyent USA was now leasing their machines. That seemed like good news to me because it could present the opportunity for people to get a machine that might otherwise be impossible. I jumped on the Tyent USA site to check out the deal. I wish I hadn’t bothered. This article started out about leasing, but as often is the case, a bit of research led me in multiple directions. Tyent USA offers their 7070 Turbo model for $2,395. A quick check on EBay showed that people are selling the exact same brand new unit for $1,995 and $1,895 and a couple more are selling for under $1,500. Tyent USA advertises on EBay that if anyone sells for less than the retail price, the warranty is null and void. Tyent USA and other companies make the warranty threat in an effort to hold the retail prices at ridiculous levels. Anyone that reads my blog knows that all the leading water ionizers cost $500 or less coming out of Asia and that you can get much better pricing if you do some research. 1) The manufacturer offers a one year warranty and anyone can make a claim. 2) Tyent makes reliable machines and the unit has been around for a couple of years which means the bugs have been worked out. When I sold Tyent machines a few years ago, there were not many warranty claims and the few that did come in were almost always in the first few days or weeks. 3) Tyent USA will honor any warranty no matter what they say. The cost of replacement parts are very low and they can then sell you very profitable replacement filters every six months for years. 4) Who are these water ionizer companies trying to kid with lifetime warranties? What machine lasts a lifetime? Tyent USA introduces new models all the time and they discontinue the old models. They also discontinue entire lines, such as the IonQuench that they introduced a couple of years ago. How would you like to be an IonQuench customer? Do you really think Tyent USA is going to be around it 50 years? I doubt they will be around in five years if they even make it that long. When I checked out the Tyent USA website to investigate the leasing deal, I was shocked. Tyent USA is offering the Tyent Turbo 7070 for $300 down and $95 per month for 36 months. At the end of 36 months, you have the option to purchase the machine for the equivalent of three more monthly payments ($285). If you choose the leasing option, you end up paying over $4,600 for the machine. This is the same machine that the company offers for $2,395 and the same machine that you can buy on EBay for under $1,500. 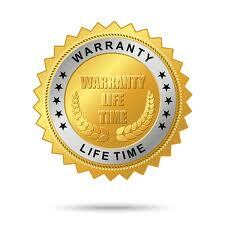 The companies will all honor the warranties despite their threats. It costs them very little to do so and they can then sell you filters for years which are very profitable. Stay away from leasing as the cost is horrendous. You can buy an Antioxidant filter for virtually the same price as the down payment of an electric water ionizer. HI Rob. Love your site, great results using various water purifiers and good results with the Tyent ionizer. However, they don’t honor the warranty. I sent my story and supporting documentation to the Federal Trade Commission, and they said that Tyent should reimburse me. But Tyent refuses. The Tyent was ok a year and half, then failed. they replaced it, the next one failed at year and half later, they simply ignored me. The FTC said they should reimburse me. Tyent tried to say I owed them money, I proved I’d paid in full, they still refuse. So the good news is a lifetime guarantee, the bad news is that they won’t honor it. I hate seeing emails like yours because the actions of a single person or a company can tarnish the entire industry. One would think that companies like Tyent USA would bend over backwards in an attempt to protect their brand. If your email is a sign of things to come, it looks like Tyent doesn’t care anymore. I’m happy to see people fight for their rights. You are not only fighting for you, you are actually fighting for all Tyent owners. Keep pressing Tyent and the FTC. Unless Tyent has just given up the idea of selling their water ionizers in the future, you should be able to get you machine replaced. If you aren’t getting anywhere with Tyent of the FTC, call a lawyer and initiate legal action. You might find that you could find a fair amount of support in a class action law suit. Even if Tyent has decided to close down sales of their machines, your lawyer could always attack the profits of their filter sales. If Tyent has sold 20,000 machines over the years (I’m just guessing at the number) and they make $200 per customer per year on filters sales, the profits would be $4 million dollars per year. That should capture the attention of most lawyers.